Located less than 1.6 km from historic Old Town Temecula. 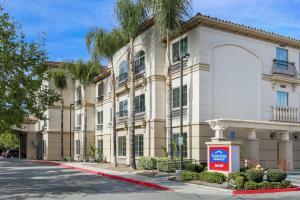 Best Western Country Inn Temecula serves a daily breakfast and offers guest rooms with free WiFi. Guests can enjoy the year around outdoor swimming pool and free guest parking. The Temecula Valley Wine Region is 20 minutes’ drive away from this hotel. Guest rooms at this hotel include a cable TV. Free local telephone calls are provided. A coffee machine and ironing facilities are also included in each room. Best Western Country Inn Temecula features a 24-hour front desk. Laundry facilities are also available at the hotel. The Vail Lake Recreation Area is 16 km away from the property. Aftershock Brewing Company is 3.2 km away. When would you like to stay at Best Western Country Inn Temecula ? This room features air-conditioning, a flat screen TV with cable channels, microwave, refrigerator, coffee machine, and ironing facilities. The en suite bathroom includes a hairdryer. This room features air-conditioning, a flat screen TV with cable channels, microwave, refrigerator, coffee machine, and ironing facilities. The en suite bathroom includes a hairdryer and a roll-in shower. Guests are required to show a photo identification and credit card upon check-in. Please note that all Special Requests are subject to availability and additional charges may apply. The hotel will be undergoing a lobby & breakfast renovation from 11 September 2017 through 10 November 2017. A continental breakfast will be served instead of a hot breakfast. Each day we'll check prices and send you an email for your selected dates at Best Western Country Inn Temecula. If you don't have specific dates but would like to check prices for say next weekend or say next month we can check the price too. Click to write a review and share your experience of Best Western Country Inn Temecula with other travellers.